Random Fact: Crash Dash was also the name of the final unlockable ability in “Crash 3”, as well as the name of one of the levels in the party game “Crash Bash”. For me, the chase levels had a massive upgrade from Crash 1 to Crash 2. 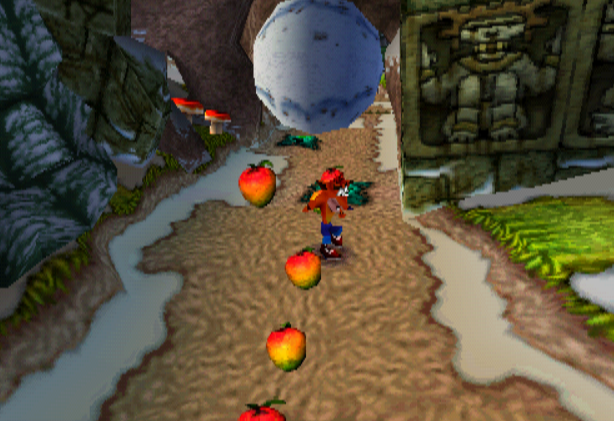 I think because the controls were slicker in Crash 2, it makes running away from the boulder a bit easier, but to make the levels that much more difficult the inclusion of the fences and speed pads add a lot too. Crash Dash was the first chase level from Crash 2, so for a lot of Crash fans it was the first one they had played. I’ve always thought the chase levels in Crash 2 were better than Crash 1, and Crash 3 (with the dinosaur). And this is hella fun!